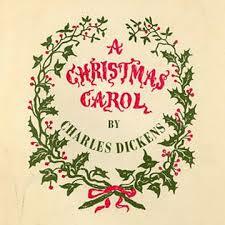 After my failed attempt to get in the holiday spirit by reading Holidays On Ice, I picked up the surefire solution, Dickens’ A Christmas Carol. Nearly all of us know the story … Ebeneezer Scrooge is the original miser who is visited by three ghosts on Christmas Eve in an attempt to redeem him. You may think you have heard or seen the story so many times there isn’t a point to reading the book, but you’d be wrong. The book is perfect. It manages to be festive and foreboding, comical and creepy without the sentimentality that comes with so many holiday stories (many of which are interpretations of this very story). Although it is relatively short – 170 or so pages – I spent a week reading it leisurely to my kids. Whether you read it alone, out loud to your family or find an audio version you can enjoy, I would highly recommend making this book part of your holiday traditions. I typically have trouble ramping up the holiday spirit so this year when I had the decorations up and the shopping done I thought I’d read something to help. I mistakenly chose David Sedaris’ Holidays On Ice. I’ve had the book on my book shelf for many years. 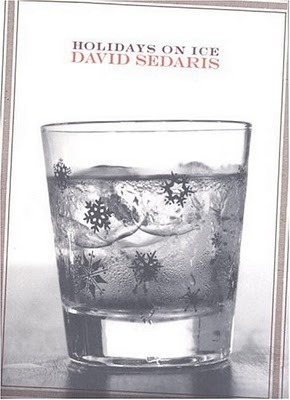 I’m familiar with the “SantaLand Diaries,” the story that leads the book, and I would consider myself a David Sedaris fan, but Holidays On Ice was not the book I needed. I would highly recommend the first essay, “SantaLand Diaries,” in which Sedaris details his experience as a Macy’s elf named Crumpet. In a twisted way, it just might put you in the holiday spirit. At least you’ll be able to laugh at some of the more stressful moments, like waiting in line to see a Santa that terrifies the kids and shopping amongst the masses. It’s funny, sad, pathetic, revealing and unfortunately, honest. Although I would recommend the book on the strength of “SantaLand Diaries” alone, I also enjoyed “Dinah, the Christmas Whore,” which recounts a Christmas when the Sedaris family rescued a prostitute from her abusive boyfriend and invited her into their home for the holiday. But do yourself a favor and skip “Season’s Greetings To Our Friends and Family,” the Dunbar family Christmas letter, which goes from sad to awful to sickening, and “Christmas Means Giving” in which two neighbors go to grotesque lengths to outdo each other during the holiday season. Yes, I understand they are sarcastic, but I thought they were just too creepy and outlandish to be funny. Historically, the 12 tribes of Israel are descendants of the patriarch Jacob. 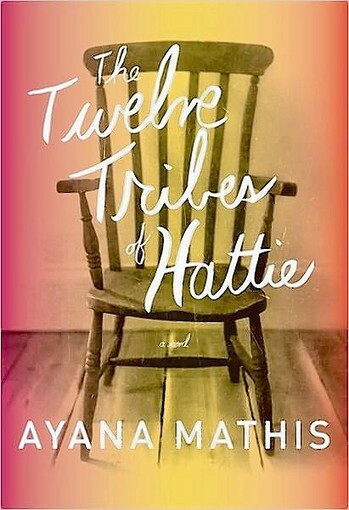 In this book, the 12 tribes are descendants of Hattie, a 15-year-old Southern girl who marries, moves from Georgia to Philadelphia, and settles into a life that brings her disappointments and tragedies. Rather than plagues of frogs and locusts, Hattie is plagued by alcoholism, infidelity, doubt and depression. The book begins with the birth of Hattie’s first children, twins Philadelphia and Jubilee. Had the rest of the book maintained the pace and drama of the first chapter this book would’ve been excellent. I found the first chapter so heartbreaking I had to put the book down. But the remaining chapters, which are told by and about Hattie’s offspring, are often much less impactful. Floyd is a sexually confused musician traveling through the South in the 1940s. Six is a prodigious but sinful preacher. Alice and Billups are adults traumatized by abuse they suffered as children. Franklin is unfaithful. Cassie is institutionalized. Bell is dying alone. By the end of the book, each of Hattie’s ‘tribes’ has told a story, and each one is more depressing and hopeless. Many of the chapters exist as singular stories, but I thought the best ones casually mention Hattie and bring her back into the story, even if only peripherally. Ideally the book would end with a fairly complete portrait of Hattie, whether or not we liked what we saw, but many of the stories stop and start abruptly and the fates of many characters is untold. This book doesn’t need much introduction. It is the memoir that has gained renewed attention since the release of the film by the same name. 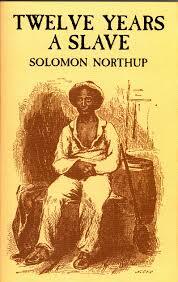 The memoir was written in the 1850s by Solomon Northup who, although he was a free man living in the North, was kidnapped and sold into slavery. He remained a slave for 12 years until he was able to convince a white abolitionist to help him contact his family and secure his freedom. I have not seen the movie, but I would highly recommend the book. It is beautifully written, poetic in places, horrifying in others. It is much more than a historical narrative, it is the story of a loved and loving man who remains hopeful and spiritual in the harshest of situations. As you’d expect, it is educational, but it is also inspirational. Some passages are so lyrical, they read like a psalm. The book really deserves a more thoughtful and robust review, but no matter how elaborate the review, it would come down to the same recommendation: Just read it. My half Cannonball complete, and ending on a very fun note! As the weather turns colder and the sports talk radio station turn their focus 100% towards pigskins, I can’t help but pop in audio-books to make my car ride go faster. Finding Douglas Adams’ classic surreal mystery in a box of my parent’s basement this summer was an unanticipated winner for me. All the silliness and sublime imagination of The Hitchhiker’s Guide to the Galaxy is repurposed here to guide characters through a curious case of murder, betrayal, magical conjuring and a sofa stuck half way up a staircase. As a reader, Adams knows precisely what he wants to emphasize in each line and phrase, and captures a great deal of the tonal elements that many other readers may miss. He occasionally blurs the distinctions between characters, and the rhythm of his jokes sometimes veers into “wry-observation-overload”. But the thrill of the chase, the glee of the literary allusions (turning Samuel Taylor Coleridge into a plot point must be an unparalleled feat of excellence in authorial nerdery), and the hilarity of his coy pause and punch-line syntax makes it a perfect companion through the snowy streets of commuter-ville USA. Running is a writer’s world. Alone with the sound of your breath and the pounding of your feet against pavement, you have all the time in the world to imagine and create stories, legends and myths. You can take your time to chronicle each and every alteration of the weather and the body until you have a big pile of overwrought imagery and irrelevant symbolism. Jeremy Schaap cuts through a lot of the running falderal with his book about the Track and Field battles during the 1936 Olympic Games. Naturally the focal point is Jesse Owens, and he devotes most of the book to both illuminating and complicating the Buckeye Bullet for readers who know him only as a name from the history books. Owens is a reluctant father and an uneasy political figure who has no choice but to accept his position in the athletic pantheon. At times, he seems to be little more than a cliche spouting, anti-septic athlete, but that has less to do with Schaap’s writing and more with the carefully reassembled hodgepodge of quotes given to sportswriters of the day (making the plethora of cliches much more understandable). And a fair amount of time is spent reflecting on the Nazi ne’er-do-wells whose dreams of a demonstration of aryan supremacy were foiled by Owens, including Goerbles, Goering, Leinie Reifenstahl and, of course, Hitler himself. Their villainy is despicable to be sure, but in the context of their political standing, not wholly different from how the Olympics are sought after today. Triumph is at its best when it focuses on Owens’ interactions with lesser known luminaries of his time, including AAU chairman and manipulative mastermind Avery Brundage, sprinting rivals Ralph Metcalf and Uliss Peacock, coaches Charles Riley and Larry Snider and the reluctant Nazi/Owens-ally-to-be Lutz Long. The audiobook’s narrator (Michael Kramer) doesn’t ape accents, but offers subtle variations on a slow, well measured drawl, to give each quote a degree of gravitas. There are some characters (including several inconsequential sportswriters and the utterly irrelevant Eleanor Holm-Jarrett) who bog down the story rather than support it, but those are minor complaints of a broadly interesting and honest look at a defining moment in American sports history.